These Scotch Eggs are delicious! Scotch Eggs are often referred to as “Breakfast in One Bite”. They can be great for an appetizer, snack, or even a light meal. While many people enjoy these around Easter, I know others, especially my Scottish friends, who have these at most family gatherings, including Thanksgiving and Christmas. ** Place mustard, mayonnaise, sour cream, hot sauce and milk in a bowl and wisk until smooth. Taste and adjust salt and pepper to your liking. If you like a thinner sauce, add more milk and adjust seasoning again. To Share with Friends & Family on Facebook or Google+, just copy and paste the following message! 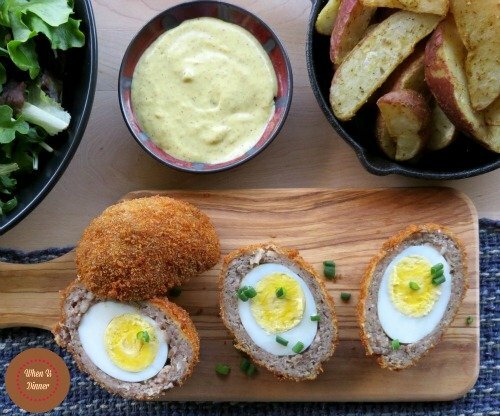 I have never heard of scotch eggs but this recipe sounds delicious. 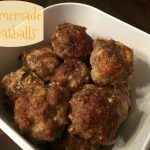 It seems easy to make and I know my family will love them! I have never experienced a Scotch Egg! They look delicious and it is about time I tried one! 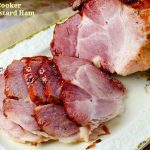 I can’t wait to tackle this recipe! I wondered how scotch eggs were made. They’re certainly interesting looking & what a great way to have breakfast all in one. The next time we have a family breakfast get-together we’ll try making these. Thanks for the step by step pictures! 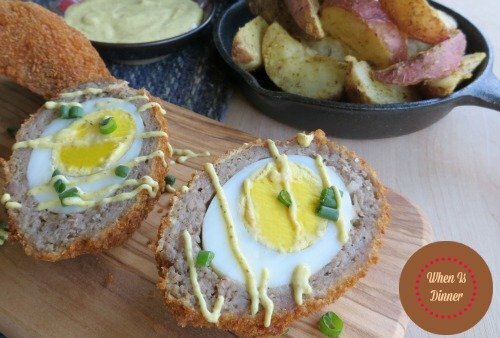 Because the Scotch Eggs look as delicious as they do, I can’t wait to try this special recipe out. I only hope I will be able do as good as you did in the heartwarming photos. I really like scotch eggs and I’ll have to try them with your sauce because usually I just have them with dijon mustard. These would be a great addition to Easter brunch, thanks for sharing. What an interesting idea, and besides the little bit of brumb crumbs works perfect for our low carb/sugar diet! 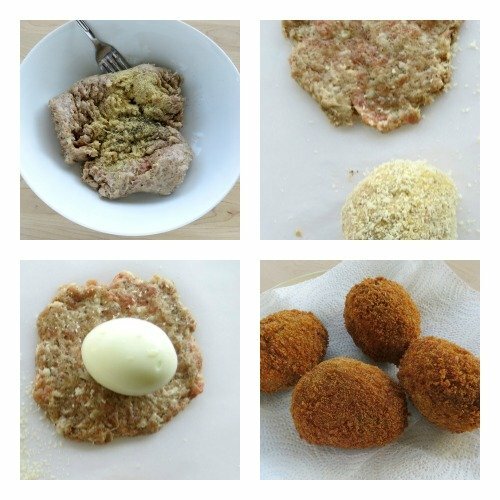 I have read about Scotch Eggs but have never made them. Thanks for the recipe. Oh my! These look so cool! I have never seen eggs made like this. I think it would be fun to make and it looks yummy too! M husband loves scotch egss. I’ve never had one. Looks like its time to make these and give them a try!! These look SO amazing. thanks for the recipe! These look so cool! Thanks for sharing. Interesting, my son and I were just talking about Scotch Eggs. Thanks for sharing your recipe. Hope it tastes good, like eggs. These look really good! I have never heard of Scotch eggs before! I’ve made these before. They’re really good. I usually bake mine tho. And sometimes I crunch up flavored croutons to coat mine in. I’ve never had these, but I’m sure my family would love them! Omgosh do these look amazing! One of my guilty pleasures as I could eat like 5 lol!! thanks for sharing!! I’ve never heard of these before, but I’d love to eat them. 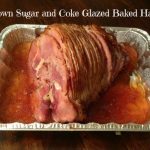 Thank you for sharing this recipe with us, I had always wondered how to make these. Thanks! Scotch eggs have always been a bit of a mystery to me. Thanks for de-mystifying! 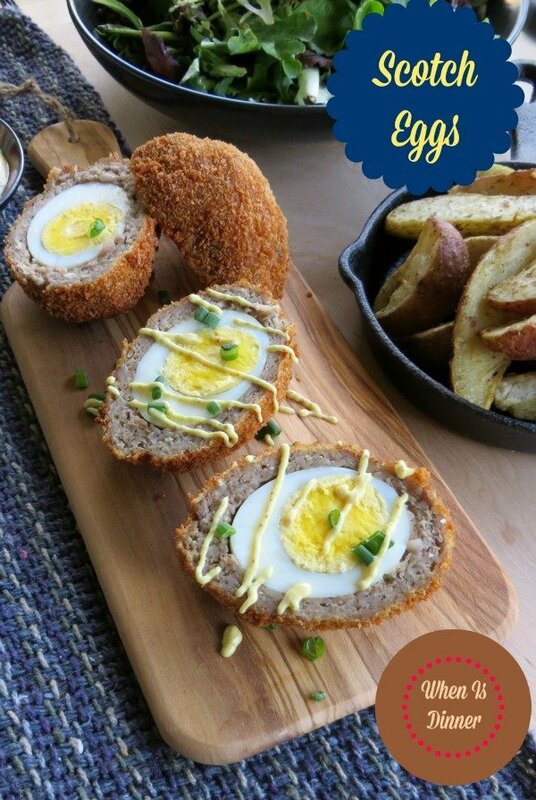 Oh my goodness these scotch eggs look and sounds so delicious! 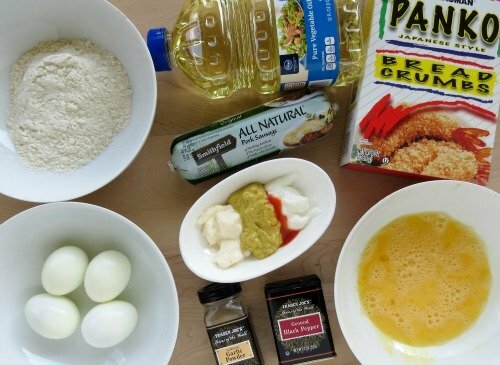 I’ve heard of them before, but had never seen a picture of them or a recipe. I can’t wait to try this recipe. Thank you so much for sharing! They look like a chicken croquet…which used to be one of my favorite meals as a child! 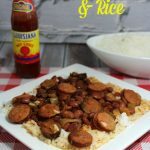 I haven’t had them in forever, but would like to try this recipe to see if they are in fact similar!